A reader appreciation giveaway. Come enter to win all the makings for my low carb Skillet Chocolate Chip Cookie, including the cast iron skillet! Yesterday we celebrated 6 years of blogging and today, we celebrate YOU. I always say my readers are the best, the most loyal and the most caring. Rarely a day goes by where I don’t hear from someone seeking advice or just reaching out to say hello. I’ve even received emails that made me cry, they were so sweet and kind. It always makes my day and I treasure the community we’ve built together. I wish I could meet every one of you…and feed you all low carb cookies. But in lieu of that, I am going to host a giveaway for all the makings for one of my favourite recipes ever: Low Carb Skillet Chocolate Chip Cookies. You know I dream about food all day, and this is one of the recipes that pops up in my dreams fairly often. I haven’t made it in a while, but oh it’s so gooey and soft and good, it really is the stuff of low carb dreams. Perfect straight out of the oven, just grab your friends, some spoons and dig in! And for the record, I am hosting this giveaway myself. No one but me footing that bill. Which is why I have to keep it to US Residents only. I am sorry. Please still love me? My favourite cookie is a sesame seed butter cookie (though I still have to try and make it low carb).. I am new to low carb so I live off your site – thank you for the great posts!!! I love chocolate chip cookies made with Lily’s chips but my other favorite is a cranberry walnut cookie, made low-carb, of course! I always look forward to seeing your new posts appear in my email, and now I’m also following you on Intagram. My favorite cookies have always been oatmeal raisin, and unfortunately that is one that is much harder to translate into a low-carb version. So, for now I’ll just eat whatever low carb cookies show up in front of me. My favorite cookie is ginger snap!!! My favorite cookies are the coconut chocolate chip cookies I make with coconut flour, almond flour and decadent Ghirdelli chocolate. Cooking grain-free and low-carb is second nature to me now and I’d love to win this prize package! i love a good chocolate chip cookie. Lemon butter cookies!! Oh man, those sound so good right now. Can’t wait to try your recipe. You are giving away some products I would love to try! Thanks for being so generous and CONGRATULATIONS on 6 years!! Soft frosted homemade sugar cookies. However, they’re impossible to make low carb — I think! Oh no, not impossible at all. I shall work on that for you. Chocolate chip IS one of my favorites – I just made one of your recipes yesterday! They are yummy! I can’t wait to try this recipe as well! Chocolate chip cookies are my favorite. I appreciate all the work and effort you put into your recipes. It is not always easy finding a recipe that tastes great and meets my diet guidelines for eating healthier! Thanks for this opportunity and all the great recipes. My favorite cookie is a shortbread cookie from Panera Bread! Oops…not supposed to eat those..ha! Love your blog and look forward to the next one! Thank you for the chance to win!! Girl Scout Thin Mints are my fav!!! Do we have to pick one..?? I have made so many from your blog, I don’t know how I missed this skillet ch. chip cookies. Definitely trying it this weekend! Besides chocolate chip I also love shortbread cookies and sesame ones. And thank you for this and everything you do! mine would be a peanutbutter & chocolate chip or monster cookies . My favorite is the Coconut Chocolate Chip Cookie, of course your recipe. I’ve made this cookie several times and it is sooo good. I love them! Love the title of your blog. I dream about food all day also! Great giveaway! 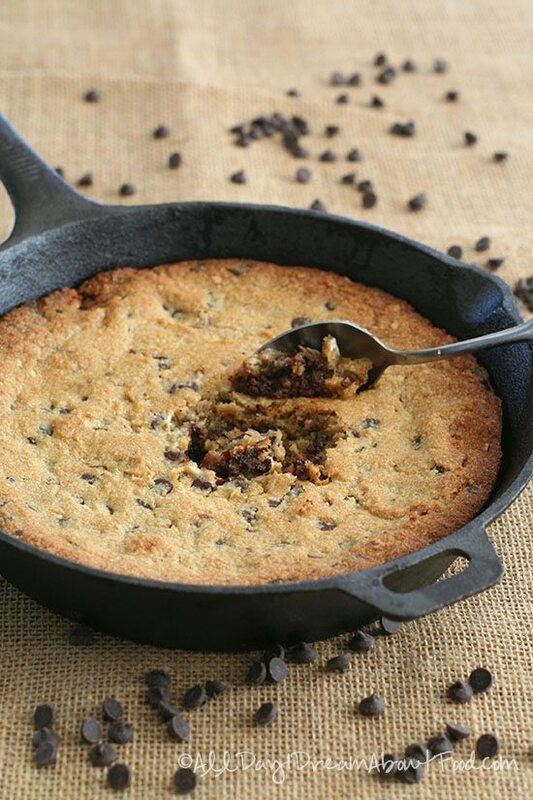 I never thought to make a big cookie in a cast iron skillet…brilliant! Definitely need to try this. the recipes on this site are lifesavers! No deprivation here! In my old life, my favorite cookie was Whole Food’s Jumbo Nut Cookies and any cookie containing chocolate chips (cocoa or white), nuts, caramel.Really, I’d never met a homemade cookie I didn’t like. I am a Cookie Monster. But in my much preferred, low carb/ketogenic life, I’ve elevated to evil genius-Cookie Monster status. All thanks to you and your comrades’ low carb/Swerve filled recipes. Of course with this lifestyle, I have more energy to workout and make and enjoy better Cookies without guilt or weight gain! Thanks for all your hard work, Carolyn! I love your blog! It is the only one I use and trust! Thank you for all of your hard work! I love this recipe and have made it several times. It freezes well too! Also good to mix with low carb Halo top vanilla ice cream, a brand you recommended! Thanks for all you do! I agree with you… Mine was a toss up between Oatmeal Raisin and Gingerbread cookies… The Gingerbread cookies won because it’s been at least five years since I had them… On top of that, the people stop making them! Chocolate chip is my top fave, but a coconut caramel cookie sounds amazing! Peanut butter? Chocolate? Chocolate chip? Snickerdoodle? How can I choose just one? Your site is my absolute favorite low carb source! I have learned so much from you and turned my husband’s health around with all of your great recipes and advice. Thank you so much and please keep the wonderful recipes and ideas coming! Love this chocolate chip recipe!!!! My favorite is definitely chocolate chip, and I think it has more to do with the warm memories of baking with my mom as a kid. My mom did not bake often but when she did we made cookies together, Love those memories. When I changed to a Keto type diet I thought I would no longer be able to have those kinds of experiences with my four girls but thanks to a lot of adapted new recipes (especially yours Caroline-we love them) I can still bake wonderful treats now and again with my girls and they love them! Hoping they’ll love the memories as much someday too.Thank you! I am so glad, Kate. Memories like that should be treasured and passed on. Thank you for all of your wonderful recipes and hard work! This giveaway is just icing on the “cookie”! Love all the recipes on this site, and always look forward to your emails, so I can see what you’ve created next! My favorite kind of cookie is oatmeal raisin – hands down! This looks amazing and great for those sudden cravings. Chocolate Chip cookies are my favorite but I love a good shortbread too. My favorite is a frosted shortbread cutout cookie, but a dense chewy chocolate chip cookie is a close second. Looks scrumptious. I’m going to make this weekend. Sad to say, but double stuff Oreos were my favorite. Now it’s any LCHF cookie that I can have, but especially chocolate chip. Pie. Or chocolate chip since pie is not a cookie. My favorite is white chocolate and macadamia nut cookies, which I have rarely found since I went gluten free. You’re my favorite low carb recipe person! Keep it up! What a great recipe! Looks amazing! My favorite cookie is chocolate chip oatmeal! Thanks for all your delicious recipes that are enjoyed by family and friends. All day I dream about your recipes and what to make next! Thanks for the chance! You are awesome! i love chocolate cherry cookies! Chocolate . . . Great minds think alike! Thank you so much for helping this Drive Thru Sue transition to better and healthier desserts! Happy bloggaversary! What a coincidence that I was JUST looking at getting a cast iron skillet. What best way to break it in than this recipe?! Chocolate chip cookies are my favorite though! Haha. So thankful for your blog. I’ve been using your recipes for years, even before I started trim healthy mama. Thank you! What a coincidence that I was JUST looking at getting a cast iron skillet. What best way to break it in than this recipe?! My favorite cookies are snickerdoodle. LOVE them!! My favorite cookies are white chocolate macadamia nut cookies. I have never tried a cookie in a skillet before so it would be exciting things try something new. My favorite cookie is oatmeal chocolate chip! I love ALL of your recipes. My favorite cookie is a dark chocolate, chocolate chip cookie. Not sure if it qualifies, but my favorite is a Vanilla Wafer cookie! so good! My favorite cookie is a butter cookie! I love your website, thanks for sharing your wonderful recipes. Triple ginger. As an ex-pastry chef, I love and rely on your recipes! Wow, I am so flattered! Thanks. My favorite cookie is chocolate chip. I am new to your blog too, and everything I’ve tried so far has been great. Thanks for all you do and congratulations on six years! Any kind of cookie with chocolate in it!!! These look delicious and I love your recipes! Congrats on your blog and thanks for sharing your recipes with us!! so many cookies, so little time. In my cookie eating days, it was white chocolate macadamia nut cookie, but the mention of vanilla wafers, made me drool a little! Peanut butter chocolate chip cookies are my favorite cookies! Loved the girl scout samoas and trefoils before i became wheat intolerant – and discovered that all those junk foods kept the weight on (I know, DUH!). I love chocolate chip cookies bedt, but coconut macaroons are a close second. ? Chocolate chip cookies are my all time favorite! New to a (long term) low carb lifestyle via THM and your site is helping me! I still get to enjoy sweets! My favorite! THANK YOU! I love oatmeal cookies with cinnamon chips. Thanks for the giveaway! Call me cookie monster. Ha! I absolutely love cookies (of the low carb version). Thanks for the awesome recipe! I’ve always love Chocolate Chip the best – but a very close second are Snickerdoodles…just love that cinnamon! Love your blog and your many recipes – they have helped keep me on track for years now, and I recommend the blog every chance I get! Thanks! Love chocolate chip, but snicker doodles are a close second ? Whoops! Didn’t see we were answering a question when we posted! My favorite kind of cookie? Anything with chocolate!!! I love samoa girl scout cookies! I am looking forward to trying your low carb version for them. I haven’t had one a real one in about six years. My favorite is definitely chocolate chip! Thanks so much for a great giveaway!! Love your chocolate chip cookies. My favorite cookie is an oatmeal cookie right out of the oven. I love this recipe (and the gingerbread version too) and have made both at at least a half dozen times. At one point I decided to us a 9 x 9 pan instead of the skillet (and maybe tweaked a few other things along the way). I’ve ended up with more of a chocolate chip brownie, while very good I think I’ll go back to the skillet and your original directions!! BTW I served the gingerbread version “brownies” at my Mother’s 80th birthday party this past year and they were a hit. My favorite cookie has always been homemade chocolate chip cookies. First thing I learned to bake as a kid 🙂 Thanks for the giveaway! Is anything better than a cookie you can eat with a spoon? Thank you! Yes! Chocolate chip cookies rock! Homemade chocolate chip, hands down. Great giveaway! I love chocolate chip cookies! Prefer them with not a huge amount of chocolate !Love snicker doodles, too! Growing up, it was Pecan Sandies – any paleo version yet? I love Chocolate Chip cookies and anything peanut Butter! I am new to Low Carb eating and have been making many of your tasty recipes! Thanks for all the effort you put into this site! Anything with peanut butter & chocolate, thin mints- oh I can’t choose, but would love to win this prize! I love all cookies but my true favorites are the jam filled almond shortbreads! I’m just getting into cooking low carb over the past year and have lose 90 lbs. so your recipes have been a delight. I do have a horrible sweet tooth! Yum! Great giveaway! I haven’t tried this recipe yet, but I think it will be next on my list! My favorite cookies would be sugar cookies or buttermilk cookies. Yum!! I love any cookie, it’s so hard being low carb but your recipes help a great deal. Thank you! I use this recipe often…and many of the other yummy ones on your website!! My favorite cookies are frosted sugar cookies. Hands down my favorite blog. I love this recipe too! I tell my low carb friends to come here if they want recipes that taste good and always turn out 🙂 Thanks so much for all you do! Chocolate Chip with lots of walnuts! Congratulations on your 6th year, you run a wonderful site and I always look forward to see what you come up with next. I love all of your recipes and ideas and this one is amazing! I am trying really hard to clean up my diet again. The holidays and life got to me! I have started Crossfit and am feeling so much better about myself – except the diet. I have work to do there! Every little motivating thing – like to win! and great recipes! etc, really can make the difference! Thanks for the chance! My favorite cookie has always been chocolate chip! I also love a great macadamia nut cookie too but haven’t had one in forever lol. And your skillet cookie recipe looks amazing, I’ve been dying to try it but need a cast iron skillet. So hopefully I win this awesome giveaway, thank you and congrats on 6 years! My favorite cookie???? My husband’s grandmother’s fruit cookie. I never was blessed to meet her but the recipe was handed down to him and I make them every Christmas. Being a diabetic, I have just avoided sweets because the ones I tried were really never that good. However these are the BOMB!!!!! Thank you!! Chocolate chip is definitely my favorite! Even better with ice cream to make a sandwich! I love white chocolate macadamia nut cookies! When given a choice of cookie, I usually lean towards a sugar cookie. I love peanut butter cookies! My fave kind of cookie is peanut butter cookies. I love your chocolate chip cookie recipe and many others. Thanks for the help as I try to change for the better! For Christmas I made almond flour “sugar” cookies with swerve and they were awesome! I definitely want to try making other stuff! I’ve never made this skillet cookie, but at Christmas time, the cranberry bliss cookies are our favorite! The chocolate chip skillet cookies are really amazing. Followed closely by the gingerbread cheesecake bites. Just found your site yesterday and pinned the choc chip cookie recipe. Can’t wait to make it. Chocolate chip and Peanut butter cookies are my favorite! And I love your blog! My favorite cookie is peanut butter, with our without chocolate chips. My favorite cookie is a Shortbread. My favorite cookie is Dammsugare! They are a rolled cookie made in Sweden. They are commonly referred to,Thank you for taking the safety measures necessary to keep all our children safe. I’d rather the inconvenience of school being closed then the stress to students of being in a lock down situation and/or being carted off to another location. “Vacuum Cleaner” cookie because of their similarly to old vacuum cleaners 😀 Every time I visit or family comes to the States, we stock up! They are made with a wonderful strong punch flavor & dark chocolate…an aquired & addictive taste! Hope the next 6 years are so wonderful for you. I adore sugar cookies and shortbread cookies! My favorite is peanut butter! My favorite cookie is chocolate chip and I love your recipes!! Snickerdoodle! Or Oatmeal…lol..or chocolate chip! Or gingerbread! I LOVE cookies!! Chocolate chip cookies are the best cookies ever! What an awesome giveaway! I’d like to say “thank you” for your blog! I can always count on your recipes to be keepers. The single serve chocolate chip cookie is my favorite and I’m looking forward to trying the skillet version… IF I win the skillet that is! Happy 6 years!!! Thank you for the opportunity to win such an amazing gift! You are amazing Carolyn! My all time favorite cookie is no-bake cookies. You know, the gooey, fudgey chocolate & peanut butter with bound by rolled oats. Amazing! I have a recipe for those, although no oats! Have you seen that? My favorite cookie is white chocolate macadamia nut. I haven’t had them in a while but they’re soooo good. Probably chocolate chip. Thank you so much ch for all your great recipes! Thanks for the chance to win!!! My favorite cookie are snowballs/Mexican wedding rings/Russian teacakes… They have many names and slight variations, but the nutty sugary butter cookies are my absolute favorite. I have a recipe for those, have you seen it? Hmmm, I love lemon cookies, shortbreads or ones with coconut and chocolate. Chocolate chip of course!!! I love all of your recipes, by the way! My favorite cookie is molasses. Oh, yum! I am so glad I found your blog! I have had to eat low carb for many years now due to health reasons. Thanks for DELICIOUS recipes, including these cookies. Thanks for the opportunity for the prize package, too. Chocolate Chip is my favorite. YAY! I want to win (shocking)! This blog has kept me alive for the past few years. Well maybe not alive, but it has definitely given me healthier options and helped me lost 60 pounds resulting in finally (after 3 years of trying) getting our precious little on (he’s now 14 months and we’re trying for #2). Thanks for all of your hard work!!! Now. Favourite cookie – clearly chocolate chip! Yummy! I have been eyeballing this recipe for some time, but haven’t gotten a skillet yet! Wonderful! Congratulations on your little man and here’s hoping fro #2. I absolutely LOVE snicker doodles! Warm, crispy, cinnamony! My favorite cookie for the holidays ? My favorite is chocolate chip, but my favorite low carb cookie is biscotti, as I find it adapts well to being made LC. I love the shortbread cookies. So does my DH. My favorite cookie is an iced sugar cookie! Sugar cookies are by far my favorite cookie but still I love a good crisp chocolate cookie. Thank it has been fun to read all he other post! My favorite cookie is one I started making when I was fifteen years old – molasses. My brother’s and sisters still go gaga when I gift them each two dozen, and it’s been over forty years since I started. And I’ve also never had a cast iron pan, but haven’t been able to finally buy one. My favorite cookie is macadamia and white chocolate chip! Before low-carb, my favorite cookie was a sugar cookie with toffee bits. After going low-carb, I’d have to say that your Chocolate Hazelnut Sandwich Cookies is probably one that I make most often. These cookies are great as individual cookies, or made into the sandwich style. Thanks for all the hard work you do to elevate low-carb desserts into great tasting treats. My favorite cookies are oatmeal walnut raisin! great recipe – can’t wait to try it! Love oatmeal chocolate chip cookies! With walnuts! Love a good chocolate chip cookie. Warm out of the oven are the best! Thanks for the opportunity to win! Yes – I still love you, and your blog, even though I’m not eligible to enter the give-away! I found your blog whilst living in Colorado, and then moved country – with my two 21-year old cats – whilst you moved states! Now settled in the UK and still loving your recipes but having to find English alternatives for some of the ingredients. Your recipes are great and I use them all the time. Thank you for all your efforts, long may you continue. Six years, and counting! Yay! Wish I could afford to ship overseas! I am a newbie to low carb….I was looking through the blogs and settled on you for guidance and recipes. I will definitely try this recipe after my 2 weeks. It is rather expensive to get all new ingredients for a new cooking lifestyle. I have a good 90 lbs. to loose. Thank you for all your work on recipes and hosting this giveaway. I am hoping to be an inspiration to my 30 year old son who was diagnosed with type 1 diabetes at age 26. Thanks again. I just wanted to say that if you’re going low carb, Carolyn’s site is the best! You’ll be amazed at all the great recipes you can find here. She also has links to other sites & recipes that are worth checking out. I’m less than a year into low-carbing myself, and I know the “sticker shock” that you speak of. But eating this way I’ve lost weight, I’m not hungry, and I feel SO much better, so it’s definitely been worth it. Hope it goes that way for you, too–good luck! It can be expensive so keep your eye out for deals and stock up. That’s what I do! cookies are my weakness! Thank you for this recipe! My favorite cookie is Chocolate Chip…and I’m learning to make them the healthy way!!! White chocolate macadamia nut is my absolute favorite! Chocolate chip, of course, though I also like lemon bars! My favorite cookie isn’t low carb but is Dorie Greenspan’s World Peace Cookies. Just recently found your blog and love it! This would be great to win ???? Monster cookies – you can’t be chocolate chips, m&m’s AND peanut butter! I love dark chocolate so I’d have to say chocolate chip cookies are a favorite! I love a moist pumpkin cookie with a lot of cinnamon and ginger. Reminds me of Christmas! Either peanut butter or chocolate chip or peanut butter chocolate chip! Nom!! Ive been wanting to try this forever!! Thank you for the chance to win. Love chocolate chip cookies. I love all of your Biscotti recipe’s. They taste like store bought Biscotti. This is such an awesome giveaway Carolyn. You are so sweet. Right now I’m on a peanut butter kick, but i also enjoy oatmeal raisin cookies. Oh yeah, and Snickerdoodle is pretty awesome as well! Chocolate chip cookies are my favorite but Chewy oatmeal cookies are right up there! Thanks for the drawing. I love your recipes. I love all kinds of homemade cookies, but molasses cookies are a favorite. I can’t wait to try this recipe out! Love your recipes!! I love your recipes, when I started low carb this was the site I used the most, and many of your recipes are still my “go to” This cookie is divine, but so is your gooey skillet brownie, brownie cheesecake, thin mints… and I haven’t even gotten to the scones or cupcakes and I am making myself hungry. Thank you for all the recipes, i don’t write or comment much because of no free time, but I want you to know how much I appreciate you taking the guesswork out of deserts for me! My favorite cookie is always and forever a chocolate chip cookie. It reminds me of my mom and my childhood and i love whipping up a batch for friends or family. This has become my go-to resource for anything and everything low carb. It’s helped me lose weight and stay on track with my low carb lifestyle, so cheers to 6 years of low carb blogging, and to many more! I love chocolate chip. I just started the keto way of eating this year, down 14 lbs! Love your blog! My favorite cookie is chocolate chip! Wish oatmeal was low carb as I really love oatmeal choc chip!! Snickerdoodles! Fluffy, buttery, cinnamon-y goodness! Love, love, love your blog!! I LOVE chocolate chip cookies but chocolate pb no bakes are a close second! Thanks for doing this giveaway! I am new to your blog, but excited to try some new recipes for my low carb lifestyle. My favorite cookie is a snickerdoodle! My favorite cookies are wafer sandwich cookies. Very old recipe from Betty Crocker. Our family has made them for years. A big fav of the whole family. Definitely chocolate chip – but I’m a sucker for just about any cookie. Never met a cookie I didn’t like! Okay skillet and chocolate, girl that’s good! My favorite cookie of all time is a oatmeal chocolate chip cookie. They are the best…your low carb skillet cookie looks yummy too – would love to try them. Thanks for doing the giveaway – your blog is great! Congrats on 6 years. I hit your blog every day (well, 5 days a week) and sometimes multiple times a day. I’ve been following for several years and managing my blood sugar and weight along the way. THANKS FOR WHAT YOU DO! My favorite cookie is a peanut butter chocolate chip cookie! White chocolate macadamia is my classic go-to! Hard to pick a fav… I love all cookies. But if I had to choose lc samoas would be it. Have you tried my Samoa Bars? I love a good shortbread cookie but chocolate chip cookies are a close second choice. My favorite has always been fresh baked chocolate chip cookies! Great giveaway! I love your your blog. Thank you for sharing all your wonderful recipes with us! Looks yummy! My favorite is probably peanut butter. Thanks for the giveaway! The no-bake chocolate and peanut butter cookies we had in the school cafeteria! I’m still trying to figure out a suitable LCHF substitute for that one. Believe it or not, my favorite cookie is your skillet chocolate chip. Ever since I first made it, after turning paleo, the ease of making it in a skillet has made it SO-O-O good…. My favorite cookie is chocolate/chocolate chip. I just love chocolate! Love all your delicious recipes! Can’t wait to try the cc cookies! ! Please let me win this!!! My family of 7 loves chocolate chip cookies and I am trying to convert them to low carb/thm. Your page and recipes are amazing. Thank you for sharing with us. Blessings! Congratulations on 6 years! Look how many people have responded already! I absolutely love your genius recipes! Thank you for being so creative and diligent in your posts. Cookies, cookies, cookies, I love them all, but am partial to chocolate ones. Keep up the good work Carolyn. Your fans really appreciate you! Chocolate chip is my first pick. Thanks for the great giveaway. Jam thumbprints. 🙂 But chocolate chip is second choice! Chocolate chip cookies are my favorite. This is a great prize! I love white chocolate cranberry! I am looking forward to making this! My favorite cookie is skillet Peanut Butter chocolate chip topped with vanilla ice cream?. I always have to go out to our favorite restaurant to enjoy it though because I don’t have a skillet. Thanks for the opportunity to possibly win one and make one for myself. ? Thanks for doing this! Actually, chocolate chip cookies are my all time favorite cookie. LOVE them. My favorite would have to be white chocolate macadamia cookies. Chocolate chip cookies head the list of favorites. It is by far the most requested cookie by my family. Love Chocolate chip cookies…..my daughter requested we bring chocolate chip cookies when we flew to Fort Jackson, South Carolina to attend her graduation from Basic Training in the Army. She hadn’t had any treats for weeks! She would break those cookies into small pieces and savor every single bite! I also love butter cookies and ginger cookies. Ooohhh, i’d absolutely LOVE a low carb recipe for blueberry cheesecake cookies! They would be the bomb!!! I love Chocolate chip cookies and is my favorite cookie!!! I just want to thank-you for all your recipes!!! Congratulations to you!! Since changing my lifestyle I have improved my health and lost 68lbs!!! Thank-you so much for making my lifestyle so much easier with your recipes! I love low carbing, it works for me!! I love my cast iron, but never have I done this! I’d have to say i’very never met a cookie I didn’t like. I’ve made this skillet chocolate chip cookie several times and wow is it yummy and perfect! Is there any other type of cookie besides chocolate chip? lol! I can’t wait to try this!! Thank you!! When I was in college I’d go to the bookstore on Fridays and get an oatmeal chocolate chip cookie with raisins. Oh it was good! It would be thicker, and you’d probably need to bake it longer. But it would be gooooooooood! I do love chocolate chip cookies but I’d probably say that a lighter lemon shortbread would be my preference! My grandmothers molasses cookies were the best! My favorite cookies are choc. chip with walnuts , or oatmeal raisin depending on my mood. I love reading your blog, and have made several of your recipes! They are always delicious! My favorite cookie used to be peanut butter blossoms! The ones with the Hershey kiss in the middle. You know I have a recipe for PB blossoms, right? OMG TOO. I love snickerdoodle cookies! I love chocolate chip cookies! I love chocolate and caramel cookies! I love gingerbread cookies! I love every cookie in the world! Cookies, yum yum! That looks so good! ? Chocolate chip cookies my favorite! Congratulations on 6 years. My daughter was diagnosed with T1D 7 months ago and your site is hands down my “go to” site for recipes. Thank you! Thank you! Thank you! Pecan sandies are my favorites, but I can’t wait to try these chocolate chip cookies! I make your chocolate chip skillet cookie fairly often, but I’m with Kimberly … I would love a good oatmeal raisin cookie! My sister and I used to buy Pillsbury’s Classic Oatmeal Raisin cookies (refrigerated) that you cut, bake and eat.Yummy! Even in my carby days, I could never replicate them or find a recipe that I liked as well as the store-bought refrigerated dough. Now there’s a challenge for you, Carolyn! 🙂 Oh, and a crispy peanut butter cookie … I’ve tried many low-carb varieties, but found them to be too dry and crumbly. Thanks for all your wonderful recipes, Carolyn! My favorite kind of cookie has always been my Nana’s Oatmeal Cookie – they stay chewy forever… sigh. Hands down, my favorite cookie is a snickerdoodle. I absolutely LOVE chocolate chip cookies. I love to make them as well but I have not figured out how to bake low carb yet. The ingredients on low carb dessert recipes are so foreign to me. I have a hard time finding them where I am at. I love chocolate chip skillet cookies they are delish. There is something about a warm chocolate chip cookie that is like heaven in your mouth! These ingredients are foreign to everyone at first and then they quickly become pantry staples! who doesn’t love choco chip cookies! it’s the #1 best vookie !! I love me some snickerdoodles! Thanks for the giveaway! Original cookie monster here! I never have made a cast iron cookie but that can change soon 🙂 Thanks for the giveaway and have a great 6 years more in your ventures!! I have a recipe for white chocolate. Try that and put it into your cookies! My favorite cookies are chocolate chip with nuts! I think you are one of the best. Your recipes are easy to follow and they are wonderful! Thank you for 6 years of awesome low carb recipes! 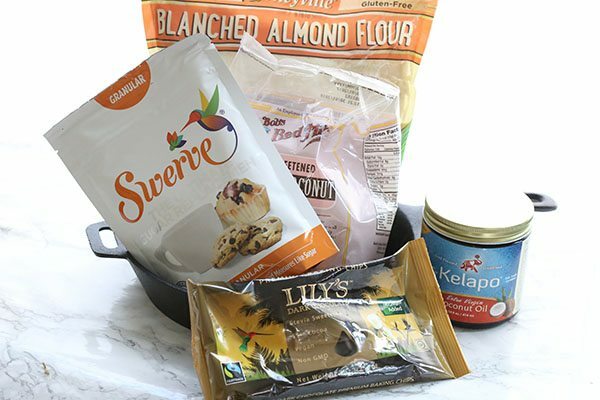 I’m excited to try your skillet cookie recipe – I just got my first bag of lily’s chocolate chips and am looking forward to making it! I really do like a nice warm chocolate chip cookie! One of my fav for sure! You are forgiven and I still love you. I love warm, gooey chocolate chip cookies! Your recipe is fabulous! I’m excited about this giveaway and sure hope I win! My favorite cookie is peanut butter chocolate chip! My favorite from childhood is Chocolate Cream Drops from a Betty Crocker cookbook–a soft chocolate cookie with walnuts, topped with a dark chocolate glaze/icing. I’m relatively new to low-carb, so I haven’t adapted these yet, but I sure plan to! Thanks for the giveaway and for all that you do! My favorite kind of cookie is Southern Tea Cake. My grandmother made the best sweets but her tea cakes were a neighborhood favorite. Adults would tell their kids to stop by our house to grab a few! Chocolate chip with grapefruit rind! You can’t imagine how well they pair together! So scrumptious! Wow, interesting! I may have to try that. My favorite is white chocolate macadamia nut nut! Love your website and recipes!! I’m in for Chocolate Chip! Thanks for the wonderful giveaway! My favorite cookie is chocolate chip. I’ve been planning to make your skillet chocolate chip cookie the next time I make chocolate chip. It looks yummy. Whew! I’m tired from trying to get to the comment line! ? I really like shortbread-type cookies, but my household prefers chocolate chip, of course! I know, ack! I can’t keep up with all the comments! I’m just a beginner with the low carb regime so have been following this great blog with fascination! My favourite cookie is a chewy oatmeal one with nuts, dried fruit, coconut, etc. (whatever is in the larder). I haven’t yet experimented with the ingredients you list in recipes but look forward to trying soon. Snickerdoodles and chocolate chip cookies are tied on my favorites list! Thanks for your wonderful recipes! Cherry Shortbread is my favorite. Love your recipes! Thanks for all the effort you put into helping us enjoy the low-carb lifestyle! My favorite cookies have always been chocolate chip, especially from Cook’s Illustrated, perfecting the chocolate chip cookie. Since I’m trying to eat low carb, I can’t make those anymore (mostly because I can’t avoid them if they’re around), so I’m always wanting to try new low carb versions of my favorite cookie. Thanks so much for all of your hard work on all of your recipes. Your website has been so helpful to me and I refer others who are living the low carb lifestyle. Cook’s Illustrated is one of the only publications I get anymore. They do have great ideas! Wow, what a great giveaway! I absolutely love your recipes and I think this is a great idea for anyone new or old wanting to experience them. My favorite cookie is iced gingerbread, the softer and spicier kind. It’s been really hard to find a decent recipe of that for low-carb, but I have found so many other great desserts from your blog in lieu of that. If you give me the link to the conventional kind, i will work on adapting it! Congrats on your blogging anniversary and thank you for the amazing recipes. Love a good peanut butter cookie. My favorite cookie is definitely a chocolate chip with pecans. I love the crunch! You had me at “cookie”!! What an amazing giveaway – and a lodge cast iron skillet! Pick me!!!! Congrats! I’m a brownie fan first and foremost. My favorite cookies are chocolate chip… But a close second are lemon thumb print cookies with a raspberry jam filling. I have yet to make a low-carb version yet though! I have an almond version and you could easily leave out the almond extract and put some lemon zest in! I love these products! My new favorite is Low Carb Cranberry Pistachio. Sooo Good! I loved white chocolate chuck macadamia nut cookies in my former life. Your site has saved me on my keto journey. Thanks for all you do for the community. Oh, and my favorite cookie is chocolate chip without the chocolate chips! Congratulations on six years of great blogging! Your recipes are my go to recipes for all things low carb. Being T1D, low carb is the only way to go for me! I am so grateful that you love to develop the recipes so I don’t have too. Many thanks….and for and great give-away. Thanks for the awesome giveaway! We all know eating low carb is expensive! My favorite cookie would have to be chocolate chip. Nothing beats a good old soft chewy Lily’s chocolate chip filled cookie! Chocolate chip cookies right out of the oven. Thanks for all the great recipes! I love peanut butter and chocolate chip cookies, chocolate mint are good too. My favorite is a hot gooey chocolate chip cookie straight out of the oven! It is absolutely this skillet chocolate chip cookie, especially with a scoop of salted caramel ice cream on top. We have made it for non carb friends too and everyone has loved it. Oh, with the salted caramel ice cream. You. Are. Brilliant! Would love to win this!, all of them are wonderful products!, to help me get healthy!. I cannot wait to make this skillet cookie, and top it with vanilla ice cream! I am drawn to your recipes, and make a new one (almost daily!). Congrats on 6 years! All Time favorite cookie – Chocolate Chip! My favorite cookies are snicker doodles. My favorite cookies are Mexican Wedding Cookies! Can’t get enough of them. Chocolate chip will always be my favorite! If we’re talking homemade, nothing beats a fresh snickerdoodle. However, I’m also still a huge fan of Fig Newtons. I find that if I bring them home, I can eat a whole sleeve in no time! Ergo, they’re not in my house often. 🙂 Thanks for all of the wonderful recipes you’ve shared and will share with us. Happy Blogaversary! I love hot, fresh out of the oven chocolate chip cookies. How crazy!!! Perfect timing. I just looked at doing this cookie in a skillet yesterday. I’m new to to GF. I already picked up the small cast iron to try individual cookies. Did make an awsome peach pie in larger last week. My favorite cookie is probably a lemon cookie, or a thumbprint with icing inside. My grandma’s chocolate chip cookies were the best ever. But I also love a good, chewy, oatmeal Raisin Cookie! Chocolate chip cookies do happen to be my favorites. To get what I need to make them all together sounds great! I haven’t met too many cookies that I don’t like but chocolate chip are always a favorite! Hands down, chocolate chip cookies are my favorite! And your blog is my favorite low-carb site…it’s what keeps me sane and dedicated to this lifestyle! Thanks! My favorite type of cookie is chocolate peanut butter. I love chocolate chip cookies. This recipe looks so good my mouth is watering. My favorite is your coconut chocolate chip cookie recipe. I just made some last week. Thanks for your hard work making low-carb, gluten-free eating enjoyable. My favorite would be oatmeal raisin, which, as someone else said, is high carb. I’ve seen recipes where shredded coconut is used to mimic some of the texture. Thank you, Carolyn, for this wonderful opportunity. Of course it’s Chocolate Chip!! I just made your magic cookie bars the other night… Absolutely phenomenal and super easy!! Just what I wanted after a long day at work and just what I needed to curb my sweet tooth!!! I have to say those would be my favorite cookie – chocolate and caramel goodness all in one package? Yes please!!! I love chocolate chip cookies, I have not had a low carb version that has compared to the real thing. yours looks delicious though! I love Oatmeal Chocolate Chip! My favorite cookie is definitely something chocolate. Like chocolate chip or whoopie pies. Something moist. Or no bake cookies with coconut but not peanut butter in it. Yum yum!! my favorite cookies are double chocolate chunk! …but it IS chocolate chip! Warm from the oven with gooey chocolate chips. I like them chewy, not hard and crunchy. I had to stop eating them when I found out I could no longer have sugar or many carbs at all. But thanks to finding your website, I have now re-entered the world of sweetness – and Chocolate Chip cookies!!! Yea and thank you! Try the skillet cookie…so soft and delicious! Peanut butter with lillys chocolate chips! Oatmeal raisin is my favorite, followed closely by chocolate chip! while i like many kinds, chocolate chip is probably my favorite. Those look amazing can not wait to try the recipe..
My all time favorite is my mom’s Jam Thumbprint Cookies! Soft & buttery with jam from Solvang, Ca (amazing Dutch bakers!) in the center & drizzled with a yummy glaze! Yum!! My favorite is a soft and pillowy iced sugar cookie! I love shortbread and butter cookies with a hot cup of tea or coffee! My favorite cookie is shortbread, dipped in dark chocolate! But a close 2nd is always a great chocolate chip cookie, especially if it is gooey inside. And I can always use a great frying pan. Your AWESOME!! A great recipe and the ingredients to make it. What could be better? NOTHING! Thanks Carolyn I love your site. My favorite cookie is Oatmeal Raisin. But I still haven’t attempted to make it Low Carb. Thanks for the giveaway! Your site is awesome, love your recipes. Chocolate chip cookies!!! Or triple chocolate chip cookies. So good!! My favorite is a soy butter oatmeal cookie. Ahhh I want one! My favorite cookie is chocolate chip ? Chocolate chocolate chunk cookie! The chocolate-er, the better. 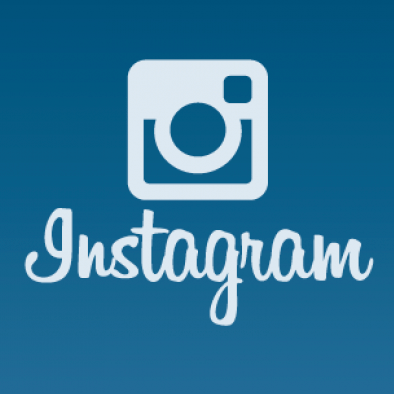 I love your Instagram and blog posts. ? I have to say, even though they’re horrible for me, Girl Scout Samoas are my favorite cookie EVER! If I could eat ANY cookies without the disastrous side effects it’d be white chocolate macadamia, and then butter pecan, with a dozen soft peanut butter cookies on the side! Too many delicious choices. What a wonderful gift! Your recipes are the best! My favorite kind of cookie as anything with chocolate in it! Yum! ? (Preferrably sugar free)! My favorite is a chocolate crackle cookie. So hard to decide on my favorite, but Chocolate Chip has to be at the top of my list. Thanks for your wonderful recipes — I no longer have to rely on my “experiments”, and can have great tasting and easy to prepare meals and treats. “Russian teacakes”/”Mexican wedding cakes” are definitely #1, snickerdoodles not far behind. Chocolate chip is always my fave. I wish we could get extra points for following you on facebook, not only visiting your page.. A lot of us don’t do twitter or instagram. Barely can keep up with facebook, email and blogs. Love your recipes!. This sounds so good! Would be a great prize to win! Favorite cookie would be white chocolate macadamia nut. yum yum…pregnant lady here could use and eat this!!! Love your recipes. Great help to staying on the THM diet and enjoying it. Chocolate chip with pecans! I just recently went low carb, so I’m going to have to try some of your recipes! They all look so good! My favorite cookie is a peanut butter chocolate chip oatmeal cookie, that I have a recipe for, but I need to thmify it! Thanks for the recipe and the chance to win this awesome giveaway! I just had your cream cheese pancakes for breakfast I use that recipe often! Thank you for all you do on your blog you are appreciated! I love using cast iron pans, and this is a great recipe! Used to be oatmeal raisin but now I’m fond of chocolate chip cookies. I think this post has the most comments I’ve ever seen! Congratulations on the success of your blog over the years. Its one of my favourite go-tos. Any thoughts on making them low carb? But chocolate chip is my favorite! Second would be white chocolate macadamia nut. Yay! I love chocolate chip cookies but haven’t tried any sugar-free chocolate chips yet. Can’t wait to try this yummy sounding recipe. Haven’t tried that recipe yet but I will soon! This sounds amazing! I can’t wait to try it. This recipe is amazing! I can’t narrow it down to one favorite…there’s too many ? My favorite cookie is Oatmeal Raisin. But, my family loves chocolate chip so that is what I make all the time. Would love this beautiful skillet full of great items! I need all the help I can get on cooking healthy!! Thank you!!! My fav cookies are the Girl Scouts Samoas (Caramel Delights). I have been addicted to these for years, if I could find a low carb recipe for these, I would be in heaven. Carolyn, I just want to say that your blog (which my husband found a couple months ago), has really changed the way my family thinks about food. I am amazed at your recipes and how amazing they taste without all that crap that is bad for you. To be honest, my weekly food planning menu, consists of 99.5 percent of your recipes, they are that great and super tasty. Thank you again for this wonderful blog and I am so glad to have found it. My husband and I are getting healthier everyday without losing an ounce of taste. I can’t say it enough, thank you again. I love chocolate chip cookies, but any kind of lemon cookie is my favorite. Not too many low carb of those ones though. Thankfully it’s one that adapts closely and well to low carb! Love the cast iron… something so homey about it. Thanks, as always… and congrats on the 6 years!! Hmmm. Espresso brownies if that’s considered a “cookie” but I love Georgetown Lime cookies almost as much! Your chocolate chip cheesecake cookie bars are one of my favorite cookies. It is so easy to make, and satisfies my low carb sweet tooth! My teens love these, too. Thank you for delicious and healthy recipes, Carolyn! My favorite is my grandmother’s oatmeal coconut cookies. Awesome giveaway!! My favorite cookie is fresh and warm white chocolate macadamia nut!! But I also can’t resist chocolate chip! I just love cookies ? That looks delicious, I have seen you post that recipe before and wanted to make it but I don’t have that awesome pan to make it in. I love soft sugar cookies! My favorite cookie is a pumpkin chocolate chip cookie with an orange glaze icing on top; this combination is tart and sweet. Plus, I’m absolutely addicted to pumpkin! My favorite cookie is Peanut Butter with a couple of chocolate chips mixed in. I love your site. Thanks for the opportunity to win that fantastic prize!!! My favorite cookie is definitely chocolate chip with walnuts, followed by snickerdoodles. I have literally been dreaming of chocolate chip cookies lately! My favorite cookie is shortbread, nice and plain. Carolyn I’m so glad I found your site since my granddaughter is T1D. I have used your recipes to make her not feel left out. She really appreciates her “special treats”. I love the Skillet Chocolate Chip Cookies; when I make it my gluten loving kids never know it’s gluten free cause I don’t tell them!!!! I love your recipes and have been dying to try this one! ONE of my favorite cookies is an easy shortbread cookie. I mix almond meal/flour, butter, SWERVE and almond extract then roll it into a bar and refrigerate it for a while. Sliced 1/8″ and baked, they are really good buttery cookies! I love your cut out cookies. I make them for every holiday!! Hats off to chocolate chip cookies:) you can’t beat that ! Thank you for 6 years of awesomeness !! My favorite cookie? Sooo hard! I do love a still warm chocolate chip cookie. But if I am having tea there is nothing like a ginger snap or shortbread. But I also LOVE peanut butter cookies 😉 I may be related to the cookie monster!! A warm chocolate chip cookie or maybe the Chewy Pecan from the Great America. cookie Company. In reality I love all cookies, but I love keto more. Almost anything with nuts in them–chocolate chip, oatmeal, toffee bars. Now that I’m low carb, I’ve had to give up some of my favorites. You have the best recipes and commentary. Thank you for all you do! My favorite cookies are monster cookies! Yum! Chocolate chip or white chocolate macadamia nut cookies are my faves! ? Chocolate chip cookies are my favorite for sure! I’ll admit it – it’s the peanut butter cookies my mom and I made when I was a kid – fork dipped in sugar and all! I love shortbread cookies but my favorites may be warm chocolate chippers. Thanks for the great giveaway! Gotta go with the simple classic peanut butter cookie! I would have a hard time choosing between my two favorites- a soft, tender sugar cookie with “sugar” on the top to make it crunch, or a tender molasses cookie with the same crunchy sugar top. Is it possible to make something like that? I’m only six weeks into LC and learning so much about how many products there are… and how they work. Fighting my A1C down one bite at a time! I believe Oatmeal chocolate chip is one of the best cookies out there! I love cookies, doesn’t matter what kind. You rock, Carolyn!!! We <3 you!! I love chocolate chip, but my favorite is white chocolate macadamia nut. I love all your recipes though! You deserve to be selfish sometimes! I know I don’t have to say chocolate chip, but chocolate chip it is! Nothing better!! “It doesn’t have to be chocolate chip” – but it is – I do like my with macadamia nuts tho I usually make them without. My favorite cookie is oatmeal raisin. Crazy, I know–but I’m always a little bit disappointed when I think I’ve found an oatmeal raisin cookie and it’s actually chocolate chips masquerading as raisins. Another great giveaway!!! Thank you. Love your skillet chocolate chip cookies!!!! Oh yeah, and chocolate chip is my favorite cookie! I haven’t tried the skillet cookie because I lack the skillet, and I’d rather spend the money on the high quality but often really expensive ingredients necessary to live (& love) low carb. My favorite cookie is (and it’s hard to pick, honestly, because I LOVE cookies) a chocolate chip with pecans cookie. My pre-LC days it was a recipe made with roughly 50% oat flour. A close second is the thin, crispy, non frosted sugar cookie, lightly browned. p.s. you are my goto blogger for LC recipes I KNOW will turn out without adjustments or multiple tries. My favorite cookie is peanut butter with chocolate chips! Just wanted to thank you for sharing all you’ve learned and the effort and time you put into crafting your recipes. Your blog was a lifeline when I found out I had diabetes, and became even more important when I found out a few months later that it was type 1, not type 2. Add on a celiac diagnosis two years after that…and no problem! I already had so many wonderful ways to cook now it wasn’t a big deal. There hasn’t been one recipe I have tried that didn’t work well. I appreciate you so much. Have a great day. I am so very glad to help, Chris. Tough stuff, all those diagnoses! oatmeal chocolate chip. my husband loves your skillet recipe! Snickerdoodle is my personal favorite. But I’ve been helping a friend who has become diabetic transition and I would love to give this to her as a gift. She would be thrilled. my sister found a recipe on the internet for these peanut butter s’mores cookies, you make 2 little peanut butter cookies and put marshmallow fluff in the middle and dip half the cookie in melted chocolate…….so good. Used to be Nestle Toll House chocolate chip cookies made from scratch. Girl Scout Thin Mints were a close second. I think it was phycological since you can only get them once a year. Thanks to you I can make a LC version that tastes awesome! Congrats again on 6 years! This is cool!! Thanks so much! My favorite cookie is red velvet with cream cheese flavored chips… though I have yet to devise a way to efficiently make the cream cheese flavored chips. My favorite is peanut butter chocolate chip. Choc chip and oatmeal raisin are my favorites. My favorite cookie is/was definitely a warm chocolate chip, until I tasted your browned butter chocolate chip blondie. A close second (or 3rd now?) is a shortbread cookie. Oh those blondies ARE good! thanks for the amazing giveaway! i bake with swerve and almond flour every day!! my favorite cookie is a soft and buttery sugar cookie. My favorite cookie is a soft sugar cookie with frosting. Haven’t had one of those in awhile! Favorite cookie in the past was oatmeal raisin — tough when living a low carb lifestyle. Second favorite — peanut butter. Easier for sure. Thank you for doing this AMAZING giveaway!!! The only thing better than a chocolate chip cookie is a butterscotch chip cookie! Gingersnaps cookies are my favorite! My favorite cookie is white chocolate macadamia nut. Thanks for all of the wonderful recipes! I can’t wait to try this one! I LOVE Chocolate Chip with a big glass of ice cold milk!! I tried to comment using the giveaway app but it would not let me write. It does say I have one entry. My favorite is chocolate chip. Hmmmm. I think maybe it’s overloaded at the moment? No bake cookies! Something we’ve made every year for Christmas since I can remember 🙂 Just starting Keto–so will be looking for a recipe to continue on the tradition. Butterscotch and white chocolate chip. I haven’t eaten that in years and I wish a delicious version existed. I love chocolate chip cookies with a little cocoa powder in the dough and some toffee chips. Yum! I love to make chocolate chocolate chip cookies! Chocolate chip anything is fantastic! Almond Butter Chocolate Chip cookies are my absolute fav although any kind of nut butter with chocolate chips works for me. Iced sugar cookies and chocolate are a tie for me:) such a drool worthy giveaway!!!!! My favourite cookies are snowball cookies. I have a recipe for those! I love all your cookies but my favorite is the Cardamom Orange Biscotti! My favorite cookie is a white chocolate macadamia cookie. Carolyn, love you, your website and all your recipes! You rock, girl! Brownie cookies — really just brownies but in cookie form. Love. Chocolate chip is my favorite, although anything chocolate will do in a pinch!! A cast iron skillet cookie of course! I love reading your blog posts! Oatmeal chocolate chip cookies are my favorite cookies and I haven’t had any since since I started eating low carb 2+ years ago. Why chocolate chip of course!! Oooey gooey goodness!! Thank you for this terrific giveaway! My favorite pre-LC cookies were oatmeal-raisin or soft gingerbread. But I do love chocolate. So when I read about eating these chocolate chippers straight from the skillet while they’re still warm, soft and gooey, I knew I had to make them! Your recipes are so delicious and reliable that they’re the ones in my iPad with gold stars in front of them. How you find the time and motivation to post something new nearly every day! I love Black and White cookies! Chocolate chip, or oatmeal raisin see the favorites around here! My favorite cookie besides chocolate chip is either oatmeal raisin with chocolate chips or the girl scout tagalongs. I LOVE the peanut butter! I love pecan pie thumbprint cookies. So good! Thanks for your giveaway and all your great low carb recipes. Chocolate chip is absolutely, hands-down my favorite cookie, followed closely by oatmeal raisin, followed by snickerdoodles…. okay, I just love cookies, honestly! Love cookies! This past Christmas I made some fabulous Jan Hagels (cinnamony almond Dutch shortbread cookie) using your Orange Chocolate shortbread as a base. Thanks for all your recipes- your website is my go-to for low-carb sweets. My favorite cookie the the Oatmeal Raisin Cookie. This look so good! I need to find a cast iron skillet? I ? Chocolate chip cookies! Chocolate chip or shortbread would be at the top of my list of favorites! Thank you for your amazing recipes that make this low carb lifestyle easy. Easy. Peasy. Warm Chocolate Chip Cookies. Or the now verboten Girl Scout Samoas!!! My favorite cookie is chocolate chip with about half the normal amount of chocolate chips, more on the crisp side than chewy. Easy Peasy. Hands down warm Chocolate Chip Cookies with a cold tall glass of milk. And the now verboten Girl Scout Samoas!!! My favourite cookies are anzac, fresh home baked no comparison. Enjoy your articles immensely. Keep up the fine work. Many congratulations on your 6th year of blogging. We appreciate all your hard work in making recipes we can all enjoy on this lifestyle. Without a doubt, chocolate chip is my favorite. Second would be a bar cookie made like an oatmeal shortbread, covered in chocolate and nuts that has been in my family for generations. Third, I found a recipe for cranberry macadamia cookies that I absolutely love. Last, I’ve made several of your biscotti and not only does hubby love them, but I do too ! Would love to win this gift package and would share that giant chocolate chip cookie with hubby, along with some low carb ice cream. Total bliss. Chocolate Chip all the way! I DO love chocolate chip, gingerbread at the holidays, and this year I tried making some Spumoni cookies that were really fabulous! I think chocolate chip cookies are my favorite. I have been dreaming about them since I found your recipe. I have to figure out how to make the chocolate chips. Then I can make them. Yum!! Carolyn, you are my hero! I love all of your recipes that I have tried so far. My favorite cookie of all time is ooey gooey chocolate chip. It’s my one and only! My favorite cookie? Chocolate chip or chocolate crinkles or chewy ginger cookies. Your blog is awesome . Although fairly new to having found it, I am eagerly trying many recipes each week. Thank you, thank you, thank you for all of your work. As one who must eat sugar-free, grain-free, I so appreciate and LOVE your recipes and delightful writing! My favorite cookie of all time are Italian sesame cookies, but I haven’t figured out how to healthify them yet. My favorite low carb cookies are your black and white cookies… Even muggy picky son loves them! My daughter and I LOVE Oreos and Peanut butter cookies! White chocolate macadamia, warm a gooey just out of the oven are my all time favourites!! I miss the big soft molasses cookies. I LOVE LOVE LOVE warm, chewy, melty chocolate chip cookies, but I also love almond butter cookies or pecan sandies. Or snickerdoodles. Haha, I like variety. 😛 Thanks for such an awesome giveaway! I love chocolate chip cookies too! So happy that your site has been up for six years! My favorite cookie is a chocolate chip and pecan baked crispy and dark brown! Well really, anything sweet is on my favorite list! Butter cookies = better than all other cookies, hands down! No need for fillers, they’re perfect just the way they are! I’m torn between the raspberry Linzer cookies and the classic chewy chocolate chip. Choices, choices! My favorite cookie is a sugar cookie or a snickerdoodle, but I do love chocolate chip cookies, too! Chocolate chip cookies are my favorite. Your site has been a life saver for me and made my low carb journey a heck of a lot easier. Molasses Cookies are my absolute favorite. But is there really any cookie that isn’t yummy? I like a really good old fashioned Molasses Gingersnap cookies, crisp edges, soft center with lots of ginger, perhaps even some candied ginger. My favorite cookies are sorta like monster cookies, oatmeal raisin with chocolate chips, pecans, toffee. Too bad I can’t have it because they are amazing! That looks delicious and so much better than my chocolate chip cookies, lol. I am extremely simple- my favorite is a good ole sugar cookie! Monster Cookies are my favorite! Unfortunately, they are not low-carb. Oh my goodness. Chocolate Chip cookies are my favorite and this looks amazing. Can’t wait to try it! I haven’t had a cookie in so long I had to really think about this. Chocolate chip? No. Snickerdoodle? No. Gingersnaps? No! What was my favorite cookie??? Then I remembered the Holy grail of cookies, the soft, chewy, nutty goodness that only peanut butter could lend. Peanut butter cookies, everyone, are a godsend, and they’re my favorite! Although I’m sure almond butter cookies are good too… I should try that! My favorite is a warm peanut butter cookie right out of the oven. My husband and I have been doing a low carb lifestyle for a year now, and although we love sweets we haven’t done much low carb baking. This would be awesome! You have some amazing recipes coming from your blog! Congratulations on 6 years! I adore your recipes, and particularly the Maple Walnut Biscotti. I haven’t tried this cookie, but I’m sure it is fantastic! Keep the awesome recipes coming! What an awesome give away. My favorite low carb cookie is the peanut butter with just 3 or 4 ingregients, I must try your skillet cookie. You are so generous! Thank you! LCHF is new to me, so wrapping my head around being able to enjoy goodies like what you blog about is just AMAZING. Mine is shortbread cookie like Lorna Doone. Well, chocolate chip are my favs for the most part, I really just like all cookies – and I love your site! I’m a THM, and you have the best baked recipes – thanks for doing this. I love every kind of cookie! I think chocolate chip truly are my favorite though!! Chocolate chip!!!! Tha ks for the giveaway! That is very kind! I love Chocolate chip cookies the best. Your cookie looks amazing!! I can’t wait to try it! I love your recipes. Thanks so much for sharing. My favorite cookies are warm chocolate chip dipped in cold milk! Yeah!! My favorite cookie….peanut butter chocolate chip! Best of both worlds… Pb and chocolate together!!! My favorite cookie is Chocolate Chip. I would love to win this because I can’t get these ingredients at stores near me. Thank you! Thanks for all your recipes! What a great give-away! My favorite is chocolate chip and any variation of that. Sounds like a great recipe! Snickerdoodles are my favorite! I am new to this lifestyle, your blog gives me hope that I will eat delicious and healthy recipes. Snickerdoodles are definitely my favorite. My favorite is chocolate, blueberries & cranberries.Would love to win this prize! Thank you so much for your time and recipes! It’s made my journey to become healthier so much tastier! All cookies are great just before baking! Hope you have a terrific journey to Belize. I love a no bake cookie- chocolate and peanut butter are a must. Never had a cast iron skillet so would be fun to win. I love chocolate chip peanut butter cookies. My favorite cookies (before going low carb) were my mom’s oatmeal cookies. Other favorites are monster cookies, sugar cookies snickerdoodles, I guess I have a lot of favorites! ? peanut butter and snickerdoodles!! yum! Whew! A lot of people like cookies and want to enter your giveaway! I thought I would never get to the bottom to be able to add my comments! LOL. I am sure that thrills your heart, though, that so many people read your blog and follow what you have to share with us! Anyway, I love chocolate chip cookies….no, wait, my favorite is lemon cookies….no wait, I love tea cakes with almond frosting….no, wait, my very favorite is red velvet…..oh, me! I can’t decide what my favorite it, but I eat more chocolate chocolate chip than anything so I guess that would be my favorite! It does thrill my heart, you are absolutely right! All kinds of cookies are our favorites but sugar is close to the top!! My fave kind of cookie is dark chocolate oatmeal. 🙂 Thanks for the fun giveaway! My favorite has always been white chocolate chip macadamia nut..
As cliche as it might be, Chocolate Chip. ? My favorite cookies are peanut butter chocolate chip! But this recipe looks amazing and I would love to try it! Yum! I would love to try this recipe. Chocolate chip cookies are my favorite!!! Lone rangers are my favorite cookies! Love your recipes! I think my favorite cookie is a monster cookie with oatmeal, peanut butter, M&Ms, butterscotch and chocolate chips. I know it would be hard to THMify this cookie, but I really just like the flavors of all of those things together. I probably like the peanut butter and butterscotch flavors the best. Hope that sparks an idea for you! Chocolate chip cookies are my absolute favorite!!! These cookies were the first dessert I made, just three days after starting my new healthy eating journey. I had family coming to visit and I KNEW I did not want to go off plan. As soon as I saw your recipe, my heart leaped!! I could offer my family something and feel good about what I was eating. This has been a favorite since. I love following you and using your recipes. Thank you so much for this awesome giveaway. HUGS. My favorite cookie is snickerdoodle! I love the lemon and cinnamon combination. I love a good chocolate chip cookie but my favorite is girl scout samoas. My favorite cookie hmm. It’s a tie between a homemade chocolate chip and oatmeal. I haven’t tried either since changing to a low carb/no sugar lifestyle yet. Maybe soon! Chocolate Chip has always been my favorite! Anything with some chocolate in it. Hubby loves lemon bars so that is a fave too! Thanks for all the recipes you share with us ! Chocolate chip has always been my go-to cookie, but a good soft Snickerdoodle is hard to beat!! Wow! There are a lot of posts here! I love chocolate chip cookies!!! I might add some defatted peanut powder for a yummy change in taste! Thanks for the chance to win! I know, I think this is the most popular giveaway I’ve ever done! My favorite cookie is a peanut butter chocolate chip cookie. My cookie of choice is mint chocolate chip. Chocolate chip are definitely my favorite! Thank you for the giveaway! I adore this skillet cookie. It is by far my favorite low carb cookie. To me, it actually tastes like a cookie. Chocolate chip, or really ANY kind of chocolate cookie! My favorite type of cookies are Girl Scout Somoas or Chocolate covered coconut macaroons. I live chocolate and coconut, so any cookie with the combo has got to be a winner. Lol. I’ve never made a cookie in a skillet, sounds like a lot of fun. I would love to try this. ? My favorite cookie are large chewy molasses cookies. I’m not sure I’ve discovered a low carb version of that yet. But I made your lemon breakfast cookies again this morning and they were a hit (as always). I’ve made many recipes from your site and have loved them all. I do not buy recipe books because I want to read people’s reviews before spending the time to make something… But if you ever published a (non electronic) recipe book I’d buy it in a heartbeat! Chocolate chip cookies!! My mom made the best but due to allergies I can’t use her recipe. I love oatmeal craisin cookies. This recipe sounds fantastic! We are just starting the THM journey and favorite cookie in this house is frosted lemon and oatmeal scotchie. thanks for sharing this recipe! I get something like this (with ice cream on top) at Lou Malnati’s pizza in Chicago. I’m happy to have a low-carb version of this! I bought some sugar-free coconut milk ice cream to serve on top. Gingersnaps! Though a good, warm, gooey chocolate chip cookie is hard to beat. Thanks for the amazing giveaway! Chocolate chip coot are my absolute favorite!! Yum! I meant to say cookies, auto correct is acting up! My favorite cookie is peanut butter! Yum! My all time favorite cookie is a warm chocolate chip cookie!!! Thanks for the giveaway! Yummy! I love a good chocolate chip cookie! My favorite cookie is definitely chocolate chocolate chip! Chocolate chip and a close number 2 is the no bake chocolate cookies! I love a good sugar cookie. I also love Italian cookies. Chocolate chip!!! Would love to try your recipe…but don’t have the skillet or all the ingredients. This would be super! It’s hard to choose a favorite!! Choc chip, gingerbread and pb are all favorites. Thanks for hosting your give a way! My favorite used to be OATMEAL RAISIN because I thought it was a healthier option than most. However THM and great food blogs (like this one!) have taught me the importance of looking at ALL the ingredients in the food. I love chocolate chip cookies also, so I’m looking forward to trying this recipe! My favorite cookie is the magic cookies bars. I love any gluten free low carb delicious cookie, especially if it is one of your recipes, I’ve never been disappointed Carolyn! I am so appreciative of the love you share in your recipes, and this is a fantastic giveaway! My youngest daughter (12) is actually making this skillet cookie for my b-day next week! I love oatmeal raisin cookies! Also I love your recipes! My favorite is chocolate chip. My husband LOVES any cookie! So good! Chewy and they don’t go flat when made with real butter, like traditional chocolate chip cookies do. I really enjoy your recipes. If I see one of your recipes I know I can trust it to be THM friendly and delicious! Thank you for your hard work and the giveaway! Congrats on your blog anniversary! My favorite cookie is oatmeal raisin! I live Chocolate Chip, but my second favorite is gingersnap 🙂 or shortbread… Oh its so hard to choose! I love your blog and have tried several of your recipes. Thanks for an amazing giveaway. Ive never met a cookie i didnt like! Thanks for such a fantastic giveaway! My favorite cookie would be cranberry and white chocolate chip! Yum! Before I switched to healthy eating, I made a buttermilk cookie with brown sugar icing I just loved. Alas, they are no longer on my eating list! My guy loves cookies and is going Low carb again. He finds it hard to stick with because after the first 2 months he goes into plateau and gets down and his company always hosts foods that aren’t low carb in any way but are very tsty. I WILL make him these cookies because he will love them. Thanks for all the great ways to eat low carb and for showing us how we really aren’t missing all that garbage stuff out there. That’s a tough situation….my best bet for his success it to really be prepared with TONS of low carb items pre made so that when the craving hits, he can have a healthier version. Pre THM, my favorite cookie was White Chocolate Macadamia (especially the ones from Subway)! But my favorite THM cookies are the Cowboy Cookies. Either peanut butter chocolate chip or paleo lactation cookies! I love minty cookies and chocolate chip! Thanks for the giveaway! I love any kind of cookie with peanut butter and chocolate! I love peanut butter chocolate chip cookies. Thanks for giving us the chance to win such a great prize package! and chocolate chip are my favorite lol. Thank you so much for writing your blog. All of them that I have tried always work. I appreciate your hard work. My favorite cookie is peanut butter cookies! They’re even better with chocolate chips added! I love the Toll house chocolate chip cookies! My Aunt Ruth used to bake up a bunch when we came to Sunday dinners back when I was a kid in the 1960’s!! When I got married I started making them myself! First of all, I’d like to thank you Carolyn for your wonderful recipes! There is nothing that I have tried that I haven’t loved!! Now to answer the giveaway question (this was a hard one), I think my favorite cookie is an good old-fashioned iced sugar cookie…with a chocolate chip cookie with walnuts a very close second! Sugar cookies won out for me because they hold such special memories for me of baking with my mom. Thank you again for sharing your gift of cooking with all of us!!! My favorite cookie is a Reese’s Cup cookie – peanut butter cookie with pieces of Reese’s Peanut Butter cups in them! Oh, it has to be chocolate chip warm from the oven!! My favorite cookie is oatmeal chocolate chip! I have my 65th birthday coming up and have been searching for the perfect THM treat to celebrate! I am a cookie baker but my favorites are usually anything with coconut…the gooier the better. Love any chance to make them healthy and figure friendly. My favorite cookies are chocolate chip with candied pecans. I use dark chocolate chunks and sprinkle a bit of sea salt over the top. My favorite cookie is from “Insomnia cookie” and it’s a smores cookie…. with hershey bars, marshmallows, and graham cracker pieces, its a delicious sweet tooth buster with a side of diabetes…. I can’t wait to log off & go try this recipe for your Low Carb Skillet Cookie! It looks amazing! My favorite cookie is homemade chocolate chip. Always has been and always will be, however I have come to love and look forward to your delicious recipes. Thanks for the chance to win this great giveaway! Thanks for this wonderful offer! My favorite cookie is a true german gingerbread cookie … lebkuchen! Cookies, cookies are (were) my favorite until the gluten problem came up. I love chocolate chip & snickerdoodle. Congratulations on 6 years! I’ve been following you for a while now. Love your recipes! Love your recipes! Chocolate chip is always a fav!! Thanks for this generous giveaway! I’ve been using Swerve for a number of years now. I used to order it at serve’s website. So sad that they don’t sell there anymore, have to find it at a store (none in my area) or order at Amazon. oops, I do love sugar cookies! I love the shortbread cookies, made with hazelnut flour! I know the answer does not have to be chocolate chip, but can’t help it, that’s my final answer – CHOCOLATE CHIP – YUM! What a lovely package this would be to get in the mail! My favorite cookies are Girl Scout cookies. I love chocolate, chocolate chip with white chips…yum! Definitely Peanut Butter Chocolate Chip! So many cookies to choose from ….but my favorite bought cookies is samoa (yes the GS one!) and my favorite homemade is snicker doodle. Chocolate chip cookies and thanks for your blog/recipes! I love chocolate chip and peanut butter cookies! I absolutely love this blog and you are so gracious to host a giveaway like this! Chocolate Chip cookies have been my down fall. But with this recipe I would be able to have them without the a negative impact on my diet. Thank you!!!! I am so thankful for the hard work you put in developing sugar free & low carb food that is safe for anyone. After finding you, then finding THM, it was wonderful to know that I didn’t have to give up either of you! My favorite cookie is the Ranger Cookie. There are a few variations, but my fave has coconut, chopped dates, and rice krispies. I don’t think it could be done low carb because of the dates, and that is one of the best parts, but if anyone could do it, it would be you. Thanks for your confidence in me, Tina! My favorite cookie is definitely chocolate chip! My favorite cookie is definitely chocolate chip! I mean is there really any other kind? I like butterscotch overnight, which I do have have a low carb recipe for and peanut butter cookies. Oh, and love, love your chocolate chip cheesecake bars. Carolyn, I appreciate all your hard work for all of us. For Saint Patrick’s Day I’m making Corn Beef and Cabbagefoe 15 people and I’m going to make one of your no bake cheese cakes with a thinly sliced kiwi to decorate it. My husband loves anything chocolate! I would love this! That skillet looks wonderful. And I love chocolate chip cookies! Oh, I love so many of your recipes! Cranberry Bliss Cookies are really good! I have a feeling this will be my fav when I try it! I just gor swerve yesterday for the first time and NEEEED to try it! Thanks! Any cookie that has chocolate chip in the title are tops to me. Although my very favorite is a chocolate chip cookie that has coconut and coconut extract in it. Love cookies more than any other dessert. Thank you for this giveaway! I love your blog and recipes! White chocolate macadamia cookies are my favorite. I’ll need to find a good low carb recipe. ? My favorite cookie is snickerdoodle. Ahh yes, chocolate chip cookies are the best!!! …Well, right along with gingerbread cookies ? Chocolate chip cookies are great! Such perfect comfort food :-). And thank you for all the wonderful recipes- you really help make THM / low carb easier and more enjoyable. My all time favorite is Snickerdoodle, but I haven’t tried a low carb version of it 🙂 I JUST bought some lily’s SF Chocolate Chips and am making your single serving cookie right now! How can we make this on a smaller scale? Are there measurements somewhere? I have a small cast iron skillet. I love lemon drop cookies! I love molasses spice cookies! I love this recipe. And it was a hit with my picky eaters. My favorite cookie is chocolate chip with peanut butter a very close second. I’m new to the blog but the combination of chocolate chips with coconut oil/shredded coconut and almond flour caught my attention right away. Then to realize it was a skillet cookie, sounding so easy yet nutritious and an offer to boot, I just had to post. After a rough few months being often with my dad in hospice and with him having recently just passed, I was looking for something new and thought “why not” so even if I don’t win the offer, I’m looking forward to trying this & other recipes! I am so sorry about your dad. How fun! Macadamia white chocolate chip cookies! I love chocolate mint cookies. Thank you for the opportunity to enter! They so good!!! My favorite cookies are cranberry orange coconut…but that skillet chocolate chip cookie looks amazing! I will defnitely have to try it!!! I love cookies… my husband’s favorite are chocolate chip! Chocolate chip is my fav,and your skillet cookies looks delicious. I love a ooey gooey chocolate chip however my dear husband loves a macadamia nut cookie. My favourite is Chocolate Chip cookies, but with macadamia nuts in them!!! Thanks for all the great recipes and posts over the years. Chocolate chip cookies are my absolute favorite. Classic chocolate chip is my favorite. Chocolate orange spritz cookies are my favorite. When my son was diagnosed with Type 1 diabetes, our whole family changed to a low carb diet and your blog with great low carb recipes became my favorite place to go for healthy snacks and treats for all of us. Thank you for sharing. Chocolate chip or peanut butter or sugar cookie. Hard to choose which I like best – I’ll take it all. Snuckerdoodles! Congrats on 6 years of deliciousness! I love peanut butter cookies with a Hershey’s Kiss on top. Thank you! I also love a good snickerdoodle ? Chocolate chip cookies are my favorite but snickerdoodles are a clise second. Congratulations on 6 years. I’ve been following you for 2 or 3 years and have made countless recipes from your site.